We're all thrilled that Matt Yanchyshyn is back on the scene and posting once more on his blog, Benn Loxo du Taccu, after a long hiatus. Of course, Matt's had pressing business - getting married, for one thing. Congratulations, Matt!
. . . Without a doubt the biggest thing going in Dakar these days is Titi. Ask any mbalax fan in Dakar between the age of 16-30 and you’ll usually get a “Titi, j’aime titi,” which admittedly makes me laugh every time for every immature reason. Titi is a hot little mbalax number - a classically tall, thin and beautiful Dakaroise woman - who gets about as much radio play these days as Youssou’s latest Live at Bercy. I think her voice sounds a lot like Michael Jackson in his child-star, Jackson 5 days. . . 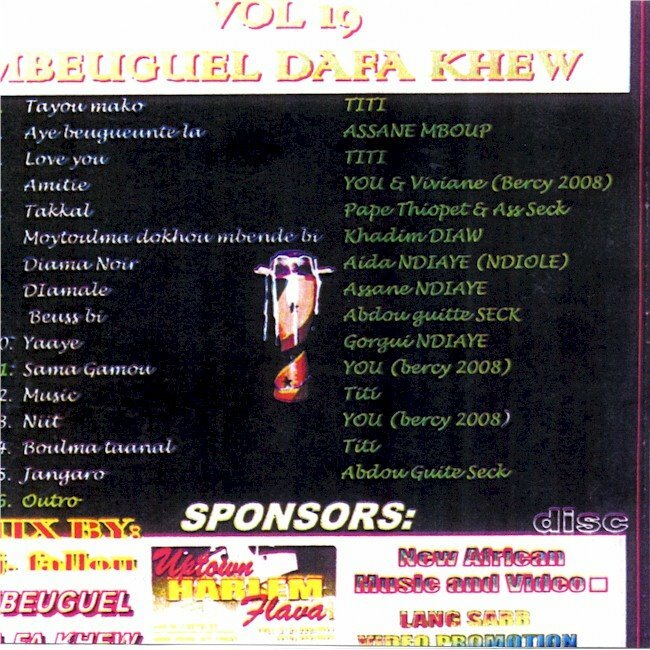 It happens that Titi features prominently in Mbeuguel Da Fa Khew Vol. 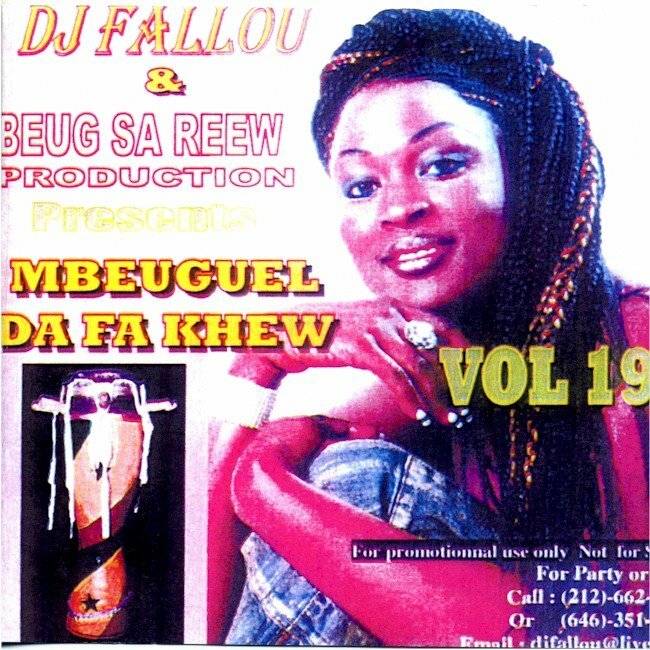 19, a "pirate" compilation by DJ Fallou & Beug Sa Reuw Productions that I picked up in Little Senegal in New York a couple of months ago. Apart from Youssou N'dour and Viviane most of the artists are unknown to me, but I see they're well represented on YouTube, for instance Pape Thiopet here, also Assane Mboup, Abdou Guite Seck and, of course, Titi herself here, here, and here. Here then is Mbeuguel Da Fa Khew Vol. 19. It's not generally my policy to post "new" recordings in their entirety on Likembe, but since this is a pirate pressing, I think I can make an exception. . .